Waterford FC return to action this Wednesday with a trip to face Cobh Ramblers in the Munster Senior Cup. The match in St Colman’s Park, Cobh, kicks off at 7pm. 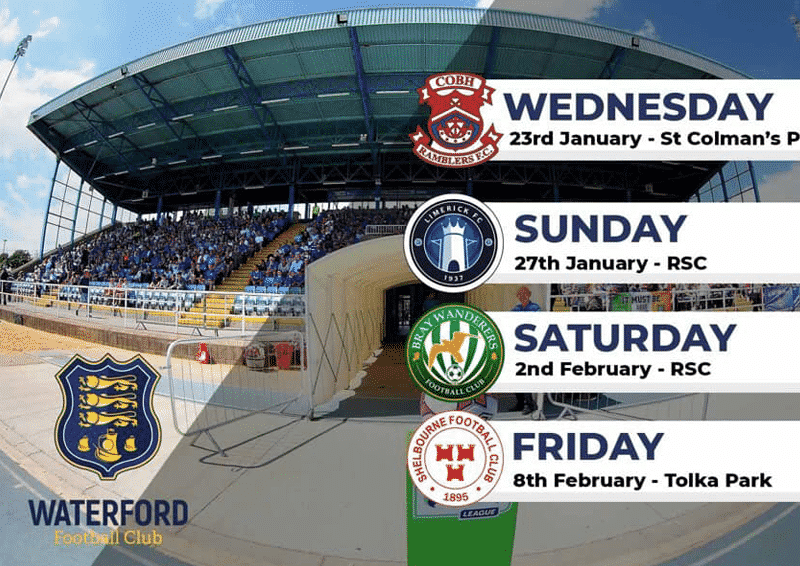 The Blues have played Hibernians (8-0) and Wexford FC (6-0) in two pre-season matches so far this month and go into the game with plenty of confidence. The winners will be away to Cork City in the semi-final.